Building resilient financial institutions and ending "too-big-to-fail"
3. In the five years since we first met, coordinated action by the G20 has been critical to tackling the financial crisis and putting the world economy on a path to recovery. But our work is not yet complete and we agreed that it remains critical for G20 countries to focus all our joint efforts on engineering a durable exit from the longest and most protracted crisis in modern history. 4. Our most urgent need is to increase the momentum of the global recovery, generate higher growth and better jobs, while strengthening the foundations for long-term growth and avoiding policies that could cause the recovery to falter or promote growth at other countries' expense. • Achieving a stronger recovery while ensuring fiscal sustainability. We have today agreed the St Petersburg Action Plan, which sets out our strategies to achieve strong, sustainable and balanced growth. • Unemployment and underemployment, particularly among young people. We are united in the resolve to achieve better quality and more productive jobs. Coordinated and integrated public policies (macroeconomic, financial, fiscal, education, skills development, innovation, employment and social protection) are key to reach this goal. We today committed to continue our efforts to support inclusive labour markets, with the exchange of country-specific plans or sets of actions, developed as appropriate according to our different constitutional circumstances. • Importance of long-term financing for investment, including for infrastructure and SMEs to boost economic growth, job creation and development. Today we endorsed the work plan that helped us to assess factors affecting the availability and accessibility of long-term financing for investment and committed to identify and start to implement a set of collective and country-specific measures that tangibly improve our domestic investment environments. • Free and rules-based trade fosters economic opportunities. We stress the crucial importance of strong multilateral trading system and call on all the WTO members to show the necessary flexibility and reach a successful outcome in this year's multilateral trade negotiations. We extend our commitment to refrain from protectionist measures and aim at enhancing transparency in trade, including in regional trade agreements. • Cross-border tax evasion and avoidance undermine our public finances and our people's trust in the fairness of the tax system. Today, we endorsed plans to address these problems and committed to take steps to change our rules to tackle tax avoidance, harmful practices, and aggressive tax planning. • We have agreed and are implementing a broad range of financial reforms to address the major fault lines that caused the crisis. We are building more resilient financial institutions, making substantial progress towards ending too-big-to-fail, increasing transparency and market integrity, filling regulatory gaps and addressing the risks from shadow banking. We will pursue our work to build a safe, reliable financial system responsive to the needs of our citizens. • G20 countries have a responsibility to ensure that all people have an opportunity to gain from strong, sustainable and balanced growth. We endorse the St Petersburg Development Outlook to focus our efforts on concrete steps to improve food security, financial inclusion, infrastructure, human resource development and domestic resource mobilization. • Corruption impedes sustainable economic growth and poverty reduction, threatening financial stability and economy as a whole. We will hold ourselves to our commitment to implement the G20 Anti-Corruption Action Plan, combating domestic and foreign bribery, tackling corruption in high-risk sectors, strengthening international cooperation and promoting public integrity and transparency in the fight against corruption. Recognizing the need for sustained and concerted efforts we endorse the St Petersburg Strategic Framework. • We share a common interest in developing cleaner, more efficient and reliable energy supplies, as well as more transparent physical and financial commodity markets. We commit to enhance energy cooperation, to make energy market data more accurate and available and to take steps to support the development of cleaner and more efficient energy technologies to enhance the efficiency of markets and shift towards a more sustainable energy future. We underscore our commitment to work together to address climate change and environment protection, which is a global problem that requires a global solution. • We will continue to develop comprehensive growth strategies to achieve stronger, more sustainable and balanced growth in the context of fiscal sustainability. 8. Cooperation, Coordination and Confidence is what we will continue to strive for. 9. We have taken a number of important policy actions that have helped to contain key tail risks, improve financial market conditions and sustain the recovery. Private demand has strengthened in the U.S. and growth has picked up in Japan and the U.K. There are signs of recovery in the euro area. While growth has continued in emerging market economies, it has slowed down in some of them. Global growth prospects for 2013 have been marked down repeatedly over the last year, global rebalancing is incomplete, regional growth disparities remain wide, and unemployment, particularly among youth, remains unacceptably high. Despite our actions, the recovery is too weak, and risks remain tilted to the downside. In the last months financial market volatility has increased. • Continued uncertainties about fiscal policy deliberations. 14. Monetary policy will continue to be directed towards domestic price stability and supporting the economic recovery according to the respective mandates of central banks. We recognize the support that has been provided to the global economy in recent years from accommodative monetary policies, including unconventional monetary policies. We remain mindful of the risks and unintended negative side effects of extended periods of monetary easing. We recognize that strengthened and sustained growth will be accompanied by an eventual transition toward the normalization of monetary policies. Our central banks have committed that future changes to monetary policy settings will continue to be carefully calibrated and clearly communicated. 17. We reiterate our commitments to move more rapidly toward more market-determined exchange rate systems and exchange rate flexibility to reflect underlying fundamentals, and avoid persistent exchange rate misalignments. We will refrain from competitive devaluation and will not target our exchange rates for competitive purposes. We will resist all forms of protectionism and keep our markets open. 20. Recognizing the need to push ahead more urgently with important structural reforms, we have reset our reform agenda along more relevant, concrete and well-targeted lines. Members have committed to a wide range of reforms to strengthen the foundations for strong, sustainable and balanced growth over the long term by boosting investment, addressing fundamental weaknesses, enhancing productivity and competitiveness, increasing labour force participation, improving financial stability and credit access, and addressing internal and external imbalances. These reforms are key to achieving a lasting improvement in potential growth, job creation and rebalancing demand. 21. We are determined to achieve more progress toward broad based rebalancing of global demand. While global current account imbalances have declined, reflecting in part important reforms in a number of countries, a substantial part of this progress has occurred due to demand compression. In order to ensure a durable improvement as global growth strengthens, we are determined to undertake further policy adjustments toward rebalancing global demand between surplus and deficit countries, as well as internal rebalancing. In this respect, it is essential to achieve stronger domestic demand growth in large surplus economies, increased savings and enhanced competitiveness in deficit economies and more flexible exchange rates. We are committed to actions in all these areas and will regularly assess progress. 23. We remain united in our resolve to promote inclusive growth and more and better jobs. 24. Unemployment and underemployment in many countries, particularly among young people, remains one of the key challenges confronting the global economy and a top priority for the G20. 25. Creating more productive and better quality jobs is at the heart of our countries' policies aimed at achieving strong sustainable and balanced growth, poverty reduction and increasing social cohesion. We agree that strong and supportive macroeconomic, trade, investment, and labour market policies, sustainable public finance, a sound and well-regulated financial system, and resilient and effective social protection systems are the foundation for sustainable job-creating economic growth. • Improve business environment and stimulate the creation of formal, more productive and rewarding jobs, through pro-growth structural reforms in product and labour markets, including by promoting labour market adaptability and efficiency, ensuring adequate labour protection, as well as appropriate tax regimes and other government initiatives that may be required according to national circumstances. • Invest in our people's skills, quality education and life-long learning programs to give them skill portability and better prospects, to facilitate mobility and enhance employability. • Foster targeted investments to ensure that labour market infrastructure and effective labour activation policies are in place to help jobseekers find work and bring under-represented and vulnerable groups into the labour market and reduce informality. • Improve job quality, including through working conditions, wage bargaining frameworks, national wage-setting systems, and access to social protection. • Develop country-specific plans or sets of actions on employment and we will discuss the progress in Brisbane. 27. Coordinated and integrated public policies are crucial to achieving strong, sustainable, and balanced growth, and restoring confidence in the global economy. We endorse the recommendations of our Labour and Employment and Finance Ministers to mobilize, coordinate and integrate, our national policies (macroeconomic, financial, fiscal, education, skills development, innovation, employment, social protection) to promote the creation of quality jobs, while increasing productivity with full respect for Fundamental Principles and Rights at Work, to ensure higher employment levels and a sustained decline in unemployment, underemployment and informal employment. 28. The joint meeting of our Labour and Employment and Finance Ministers, organized for the first time, was a welcome step towards coordination and integration of labour, employment and social policies with our macroeconomic and financial policies. We call upon our Ministers of Labour and Employment and our Ministers of Economy and Finance to continue to collaborate to promote quality job creation and job-rich and sustained growth. We encourage relevant international organizations including the ILO, the OECD, and the World Bank Group to analyze the recent experiences of the G20 countries and identify best practices that have been most successful in creating more and better jobs, promoting labour formalization, reducing inequality, ensuring effective social protection and labour market adaptability, as inputs to future deliberations of the G20 Labour and Employment Ministers. 29. Promoting youth employment is a global priority. We are committed to quality apprenticeship and vocational training programmes, finding innovative ways to encourage firms to hire youth for example by, where appropriate, reducing non-wage labour costs, moving towards early intervention measures and effective job-search assistance for different groups of youth, and motivating youth entrepreneurship and business start-ups. Tailored strategies including youth guarantee approaches, developing school and university curricula that support entrepreneurship, and facilitating exchange of best practices among the G20 countries and the social partners are crucial in this respect. 30. We commit to increase our efforts to support inclusive labour markets, better labour market information and effective employment services, which will contribute to higher employment levels along with a sustained decline in unemployment, underemployment and informal employment. We agree that appropriate labour market and social policies can ensure better social cohesion, economic stabilization, support aggregate demand and medium to longer-term growth. Sound national social protection floors are needed, which are affordable, effective, efficient, and socially adequate. Our social protection policies should encourage employment and job-search, providing help if necessary. We commit to encourage the private sector, including small and medium sized enterprises as one of our most important partners, in fostering inclusive economic growth including for job creation and labour absorption. We encourage the IMF as well as other relevant international organizations to continue their research in the area of growth, employment and income distribution. 31. We recognize the importance of ensuring that underrepresented and vulnerable groups are given both incentives and support to find productive and rewarding jobs. Special attention must be given to those groups facing the greatest barriers to finding or remaining in employment such as youth, women, long-term unemployed, low skilled workers, single parents, people with disabilities and older workers. We are committed therefore to develop and strengthen tailored activation strategies for these groups that combine income support for those out of work with measures to improve their employability through job search assistance, work experience, public employment programs, hiring subsidies, conditional transfers and training as well as reduced obstacles for employment as per country's circumstances. These measures should be linked to more general efforts to provide better opportunities to gain formal employment. We call upon our Ministers of Labour and Employment and Ministers of Finance to work together to exchange best practices and to deliver on implementation of this commitment with the support of the ILO, the OECD and the World Bank Group in identifying good practices and effective measures for more inclusive labour markets. 32. We confirm the importance of reporting progress in meeting our commitments and of sharing our experience of effective policies and measures. We consider the database prepared by the G20 Task Force on Employment as an important tool, which allows sharing best practices and ways to address labour market and employment challenges, and serves as an important source of information for the economic analyses and decision-making. This is particularly important for the employment and skills development of young people. We commit to continue to work and to broaden this approach including the scope of the database, to develop country owned and country specific monitoring methodologies, where necessary, and use the database when building upon our country owned and country specific policies. 33. We appreciate the contribution of the B20 and the L20 and acknowledge the crucial role of social dialogue as a means to achieve the G20 objectives of fostering growth, employment, and social cohesion. 34. We thank the G20 Task Force on Employment for its work, and extend its mandate for another year. We ask the G20 Task Force on Employment to continue exploring the issues related to economic and labour and employment policies, and to focus on strategies to address structural unemployment, especially among youth and the long-term unemployed, and on national social protection systems. This will build on the terms proposed by our Labour and Employment Ministers including for sharing of best practices and reviewing progress on the key elements identified on quality apprenticeships. We ask the Task Force to coordinate the exchange of country-specific plans or sets of actions on employment, developed as appropriate according to our different constitutional circumstances, working with the ILO, OECD and the World Bank Group. These reports should include information on the mix of policies and programs that will be used by participating G20 members to address their respective employment challenges. In addition, given the recurring loss to human life and assets across the world on account of unsafe working places, we direct the Task Force to partner with ILO in consultation with countries, and to consider how the G20 might contribute to safer workplaces. We encourage further cooperation and coordination between the Task Force on Employment and Framework and Development Working Groups on the activities related to the labour issues under the G20. 35. We recognize the key role of long-term investment for sustainable growth and job creation, as well as the importance of putting in place conditions that could promote long-term financing for investment, including in infrastructure and small and medium-sized enterprises (SMEs), taking into consideration country-specific circumstances. In particular, we recognize the paramount importance of the investment climate in attracting long-term financing and will take a comprehensive approach to identifying and addressing impediments to the mobilization of private capital and improving underlying investment conditions and the efficiency of public investment. 36. To lift growth and create jobs by boosting investment, we commit to identify and start to implement by the Brisbane Summit a set of collective and country-specific actions that tangibly improve our domestic investment environments such that they are more favorable to long-term investment financing and can lead to an effective increase of implemented projects, particularly in infrastructure and for SMEs. These actions will be part of our country-growth strategies. 37. We endorse the Work plan prepared by the G20 Study Group on Financing for Investment (Annex). We call on our Finance Ministers and Central Bank Governors with input from relevant international organizations and in cooperation with other relevant G20 working groups to extend the analysis of the challenges associated with the availability of financing for long-term investment to drive well-founded, evidence-based policy initiatives. We look forward to the recommendations by our Finance Ministers at our next Summit informed by the reports of the relevant international organizations. 38. We agree in particular on the need for governments to promote policies that facilitate and encourage institutional investors to finance long-term investment consistent with their mandates and prudent risk-taking. We endorse the G20/OECD High-Level Principles of Long-Term Investment Financing by Institutional Investors (Annex) and ask our Finance Ministers and Central Bank Governors to identify approaches to their implementation working with the OECD and other interested participants by the next Summit. We look forward to the FSB's ongoing monitoring of the impact of financial regulatory reforms on the supply of long-term investment financing. 39. We call on our Finance Ministers to identify measures by the next Summit to facilitate domestic capital market development and improve the intermediation of global savings for productive long-term investments, including in infrastructure, and to improve access to financing for SMEs. We ask Finance Ministers and Central Bank Governors to explore the ways in which private financing and capital markets can be better mobilized. We also look forward to building on the ongoing work of the Multilateral Development Banks to develop new approaches in order to optimize the use of existing resources, including through leveraging private capital, and to strengthen their lending capacity. We take note of the work underway by the World Bank Group and Regional Development Banks to mobilize and catalyze additional financing for infrastructure investment, particularly in emerging markets and developing countries. 40. We recognize the importance of improving processes and transparency in the prioritization, planning, and funding of investment projects, especially in infrastructure, and in making better use of project preparation funds. Particular attention will also be given to ways to improve the design of and conditions for productive public-private partnership (PPP) arrangements. 41. Free trade and investment, and achieving the open, rules-based, transparent and non-discriminatory WTO-based trading system are crucial for restoring global growth. We underline the importance of trade as a key to economic growth, sustainable development and job creation globally and at national level. 42. We reaffirm the significance of the successful functioning of the multilateral trading system and its importance in ensuring proper rules enforcement. A successful outcome at the WTO Ministerial Conference (MC9) in Bali in December 2013 on trade facilitation, and some elements of agriculture and development issues, would be a stepping stone to further multilateral trade liberalization and progress in Doha Development Agenda negotiations, providing new confidence in successful post-Bali Doha round negotiations. 43. We call on all WTO members to show the necessary flexibilities in order to bridge existing gaps and deliver positive and balanced results at MC9. We stand ready to make significant contributions in these negotiations to achieve such results, delivering an early harvest at MC9 and demonstrating the credibility of the negotiating function of the WTO. 44. We recognize the risks of economic slowdown and trade weakening posed by protectionism. We extend until the end of 2016 our standstill commitment; being fully committed to further progress in removing barriers and impediments to global trade and investment, we reaffirm commitment to roll back new protectionist measures. With these commitments we stress the importance of further curbing protectionism through the WTO, and to this end we will endeavor to make MC9 successful as a step towards a successful conclusion of the Doha Development Round and as an impetus for negotiations on a roadmap to reach this goal. 45. We value monitoring of trade and investment restrictive/opening measures by the WTO, the OECD and the UNCTAD. We call on them to continue and reinforce this work consistent with their respective mandates so as to better resist protectionism and promote liberalization of global trade and investment. We welcome the WTO's public website providing transparency over these measures for the benefit of governments, private sector, and civil society. 46. Transparency is a cornerstone of the multilateral trading system. We are committed to timely complying with WTO notification requirements and enhancing transparency through the existing WTO rules. 47. We understand the importance of regional trade agreements (RTAs) and their contribution to trade and investment liberalization. We commit to ensure that RTAs support the multilateral trading system. Realizing that enhancing transparency in RTAs and understanding of RTAs and their effects on the further development of multilateral rules are of systemic interest to all G20 members, we are committed to continue our work on RTAs in the WTO, and share our approach for Advancing Transparency in Regional Trade Agreements (Annex). 48. We support the Transparency in Trade (TNT) Initiative, a partnership between the African Development Bank, the International Trade Centre (ITC), the United Nations Conference on Trade and Development (UNCTAD), and the World Bank, which will provide for open use of the trade policy data and analysis system to identify new trade opportunities and facilitate trade flows. We also welcome the WTO's Integrated Trade Information Portal (I-TIP). 49. We recognize the importance of better understanding the rapid expansion of global value chains (GVCs) and impacts of participation in GVCs for growth, industrial structure, development and job creation. In this regard, we welcome the work done by the OECD, the WTO and the UNCTAD and ask them to seek the views of governments and continue their research on the impact of GVCs, particularly in relation to the influence of GVCs on trade, economic growth, development, job creation and distribution of value-added along GVCs. Identifying the opportunities and challenges of participation in GVCs and making available value-added trade statistics may help countries in due course to decide upon appropriate policymaking options to benefit from GVCs. . We call for the OECD in cooperation with the WTO and the UNCTAD to deliver a report in the first half of 2014. 50. In a context of severe fiscal consolidation and social hardship, in many countries ensuring that all taxpayers pay their fair share of taxes is more than ever a priority. Tax avoidance, harmful practices and aggressive tax planning have to be tackled. The growth of the digital economy also poses challenges for international taxation. We fully endorse the ambitious and comprehensive Action Plan – originated in the OECD – aimed at addressing base erosion and profit shifting with mechanism to enrich the Plan as appropriate. We welcome the establishment of the G20/OECD BEPS project and we encourage all interested countries to participate. Profits should be taxed where economic activities deriving the profits are performed and where value is created. In order to minimize BEPS, we call on member countries to examine how our own domestic laws contribute to BEPS and to ensure that international and our own tax rules do not allow or encourage multinational enterprises to reduce overall taxes paid by artificially shifting profits to low-tax jurisdictions. We acknowledge that effective taxation of mobile income is one of the key challenges. We look forward to regular reporting on the development of proposals and recommendations to tackle the 15 issues identified in the Action Plan and commit to take the necessary individual and collective action with the paradigm of sovereignty taken into consideration. 51. We commend the progress recently achieved in the area of tax transparency and we fully endorse the OECD proposal for a truly global model for multilateral and bilateral automatic exchange of information. Calling on all other jurisdictions to join us by the earliest possible date, we are committed to automatic exchange of information as the new global standard, which must ensure confidentiality and the proper use of information exchanged, and we fully support the OECD work with G20 countries aimed at presenting such a new single global standard for automatic exchange of information by February 2014 and to finalizing technical modalities of effective automatic exchange by mid-2014. In parallel, we expect to begin to exchange information automatically on tax matters among G20 members by the end of 2015. We call on all countries to join the Multilateral Convention on Mutual Administrative Assistance in Tax Matters without further delay. We look forward to the practical and full implementation of the new standard on a global scale. We encourage the Global Forum to complete the allocation of comprehensive country ratings regarding the effective implementation of information exchange upon request and ensure that the implementation of the standards are monitored on a continuous basis. We urge all jurisdictions to address the Global Forum recommendations in particular those 14 that have not yet moved to Phase 2. We invite the Global Forum to draw on the work of the FATF with respect to beneficial ownership. We also ask the Global Forum to establish a mechanism to monitor and review the implementation of the new global standard on automatic exchange of information. 52. Developing countries should be able to reap the benefits of a more transparent international tax system, and to enhance their revenue capacity, as mobilizing domestic resources is critical to financing development. We recognize the importance of all countries benefitting from greater tax information exchange. We are committed to make automatic exchange of information attainable by all countries, including LICs, and will seek to provide capacity building support to them. We call on the Development Working Group in conjunction with the Finance Track, to work with the OECD, the Global Forum and other IOs to develop a roadmap showing how developing countries can overcome obstacles to participation in the emerging new standard in automatic exchange of information, and to assist them in meeting the standard in accordance with the action envisaged in the St Petersburg Development Outlook. The Working Group should report back by our next meeting. Working with international organizations, we will continue to share our expertise, help build capacity, and engage in long-term partnership programmes to secure success. In this respect, we welcome the OECD Tax Inspectors without Borders initiative, which aims to share knowledge and increase domestic capacities in developing countries in the tax area. Finally, we are committed to continue to assist developing countries, including through the IOs, in identifying individual country needs and building capacity in the area of tax administration (in addition to automatic exchange of information) and encourage such support to be developing country led. 53. Completing the ongoing reforms of IMF governance is indispensable for enhancing the Fund's credibility, legitimacy and effectiveness. For this reason, the ratification of the 2010 IMF Quota and Governance Reform is urgently needed. We continue to support the IMF Executive Board's decision to integrate the process of reaching a final agreement on a new quota formula with the 15th General Review of Quotas. We remain committed, together with the whole IMF membership, to agree on the quota formula and complete the 15th General Quota Review by January 2014 as agreed at the Seoul Summit and reiterated in Cannes and Los Cabos. We attach high importance to securing continued progress in meeting this objective, including by the time of the October 2013 G20 Ministerial and IMFC meetings. We reaffirm our previous commitment that the distribution of quotas based on the formula should better reflect the relative weights of IMF members in the world economy, which have changed substantially in view of strong GDP growth in dynamic emerging market and developing countries. We reaffirm the need to protect the voice and representation of the IMF poorest members as part of this General Review of Quotas. 54. Recognizing the importance of effective global safety nets, in Los Cabos we welcomed the commitments to increase temporary resources available to the IMF by US$ 461 billion made by a significant number of countries. Today we are pleased to announce that the vast majority of these committed resources have been made available to the IMF through bilateral loan or note purchase agreements. This broad cooperative effort demonstrates the international community's determination to enhance the IMF's role in crisis prevention and resolution and thus contribute to safeguarding global financial stability. 55. We also reiterate that Regional Financing Arrangements (RFAs) can play an important role in the existing global financial safety net. We reaffirm the common principles for cooperation between the IMF and RFAs that we adopted in Cannes, which emphasize the importance of cooperation while safeguarding the mandate and independence of the respective institutions. Recognizing recent work undertaken in this area by both the IMF and G20, we look forward to a flexible and voluntary dialogue between the IMF and RFAs on an ongoing basis through well-established communication channels. We take note of the importance of a dialogue among RFAs to foster an informal exchange of views and experiences in a flexible and voluntary way. In this context, we ask our Finance Ministers and Central Bank Governors to follow the developments and progress in the IMF-RFA cooperation, as well as the dialogue among RFAs. 56. Strengthening existing public debt management practices is important to achieve more resilient public finances. We welcome the ongoing work by the IMF and World Bank Group to review and update the "Guidelines for Public Debt Management" in light of recent experiences. We ask our Finance Ministers to consider, at their October meeting, progress in updating the Guidelines, and review the OECD's interim report on updating its leading practices for raising, managing, and retiring public debt, including on state guarantees. 57. Events in recent years have shown the importance of debt sustainability for all. We, therefore, endorse continued attention to this issue by the IMF and the World Bank. We also support the implementation of the IMF-World Bank Debt Sustainability Framework for Low-Income Countries and will take the Framework into consideration in order to better inform our practices and promote sustainable financing and sustainable growth and development through appropriate channels. We agree that further inclusive discussions with low-income countries are needed on these issues, including on the possibility of developing guidelines for sustainable financing. We ask the IMF and the World Bank to continue assisting low-income countries at their request in developing prudent medium-term debt management strategies and enhancing their debt management capacity. 58. We note the work undertaken by the IMF and BIS in developing indicators that reflect global liquidity conditions, looking both at price and quantity-based measures. We call on the Fund to carry out further research with a view to develop proposals on how to incorporate global liquidity indicators more broadly into the Fund's surveillance work. 59. We reiterate that well developed local currency bond markets (LCBMs) play an important role in improving the resilience of the domestic economy and financial systems. We welcome the work of the IMF, the World Bank Group, the EBRD OECD and other IOs to implement the G20 Action Plan on the Development of LCBMs, including through the creation of a Diagnostic Framework on LCBM. We encourage International Organizations, other technical assistance providers, and country authorities to consider the use of the Diagnostic Framework in identifying and setting reform and capacity building priorities in support of LCBM development. 60. We will fulfill our commitment to contribute to a successful International Development Association (IDA) 17 Replenishment, as well as African Development Fund (AfDF) 13 Replenishment. • progressed in addressing potential systemic risks to financial stability emanating from the shadow-banking system. The international coordination and commitment to the implementation of these reforms is unprecedented. But we have more work to do. We are committed to maintain the momentum of reform until the job is done. 62. Since our commitments in Washington in November 2008 we have agreed and are implementing a broad range of policy reforms that address the major fault lines that caused the crisis, and ensure that all financial institutions, markets and participants are regulated or subject to oversight appropriate to their circumstances in an internationally consistent and non-discriminatory way. Our work has advanced substantially, but is not yet complete. We are fully committed to tackling systemic risk. We are building more resilient financial institutions, making substantial progress towards ending too-big-to-fail, increasing transparency and market integrity, filling regulatory gaps and addressing the risks from shadow banking. We are promoting continuously functioning financial markets by making derivatives markets safer, strengthening market infrastructure and reforming credit rating agencies. 63. We are committed to fully realizing the benefits of an open, integrated and resilient global financial system. To this end, we will continue to take necessary actions in each of our jurisdictions to fully implement the agreed reforms in a consistent and non-discriminatory way. We will enhance cooperation and information sharing. 64. We are promoting financial regulatory reforms targeted at reducing moral hazard and systemic risk and fostering a stable financial system that supports sustainable and balanced economic growth. Thus, we welcome the establishment this year of the FSB as a legal entity with greater financial autonomy and enhanced capacity to coordinate the development and implementation of financial regulatory policies. We also welcome the FSB overall and narrative progress reports on financial regulatory reform, prepared for our Summit, and the substantial progress achieved to date. We support the FSB's intention to review the structure of its representation and ask the FSB to report on this review to our next Summit. 65. We commend the progress made by the FSB together with standard setting bodies and the IMF and the World Bank Group in monitoring the effects of evolving regulatory reforms on emerging markets and developing economies (EMDEs) with the view to address material unintended consequences without prejudice to our commitment to implement the agreed reforms. We ask the IMF, the World Bank Group and standard setting bodies to step up their monitoring, analysis and assistance in this area. Lastly, we encourage the FSB to continue to monitor, analyze and report on the effects of evolving regulatory reforms on EMDEs as a part of its overall implementation monitoring framework. 66. We are resolved to see the financial reform agenda through to its completion in a manner that avoids fragmenting the global financial system. We will continue to cooperate on all financial regulation issues and look forward to further progress by our Finance Ministers, Central Bank Governors and the FSB when we next meet. We will also continue to monitor and assess the impact of financial regulatory reforms on the robustness of the financial system, stability and on economic growth, and on the availability of long-term finance for investment. 67. We reiterate our commitment to implement Basel III according to internationally agreed timelines and welcome the progress that has been made since Los Cabos. It is imperative that the Basel III standards are consistently applied. We therefore welcome the work of the Basel Committee on Banking Supervision (BCBS) to assess the consistency of jurisdictions' rules with Basel III and their updated progress report on Basel III implementation. We also welcome the recent BCBS report on the regulatory consistency of risk-weighted assets. We look forward to the work by the BCBS to improve comparability of regulatory capital ratios. We expect the BCBS to finalize its proposals on the remaining components agreed to in the Basel III framework – the internationally harmonized leverage ratio and the net stable funding ratio - in line with agreed timelines and procedures. 68. We welcome the FSB report on the progress made and next steps towards ending "too big to fail". We renew our commitment to make any necessary reforms to implement fully the FSB's Key Attributes of Effective Resolution Regimes for all parts of the financial sector that could cause systemic problems. We will undertake the necessary actions to remove obstacles to cross-border resolution. We reaffirm our commitment to ensure that supervisors have strong mandates, adequate resources and independence to act. We call on the FSB, in consultation with standard setting bodies, to assess and develop proposals by end-2014 on the adequacy of global systemically important financial institutions' loss absorbing capacity when they fail. We recognize that structural banking reforms can facilitate resolvability and call on the FSB, in collaboration with the IMF and the OECD, to assess cross-border consistencies and global financial stability implications, taking into account country-specific circumstances, and report to our next Summit. 69. We welcome the publication of the initial list of global systemically important insurers (G-SIIs), to which resolution planning and enhanced group-wide supervision will initially apply. We look forward to its annual update and to the finalization of a straightforward, group-wide capital requirement by the International Association of Insurance Supervisors by the next G20 Summit in 2014 that will serve as a foundation for higher loss absorbency requirements for G-SIIs. In addition, we look forward to its further work to develop a comprehensive, group-wide supervisory and regulatory framework for internationally active insurance groups, including a quantitative capital standard. 70. We ask the FSB, in consultation with the International Organization of Securities Commissions (IOSCO) and other standard setting bodies, to develop for public consultation methodologies for identifying global systemically important non-bank non-insurance financial institutions by end-2013. We call on the Committee on Payment and Settlement Systems and IOSCO to continue their work on systemically important market infrastructures. 71. We welcome the FSB's report on progress in over-the-counter (OTC) derivatives reforms, including members' confirmed actions and committed timetables to put the agreed OTC derivatives reforms into practice. We also welcome the recent set of understandings by key regulators on cross-border issues related to OTC derivatives reforms, as a major constructive step forward for resolving remaining conflicts, inconsistencies, gaps and duplicative requirements globally, and look forward to speedy implementation of these understandings once regimes are in force and available for assessment. We agree that jurisdictions and regulators should be able to defer to each other when it is justified by the quality of their respective regulatory and enforcement regimes, based on similar outcomes, in a non-discriminatory way, paying due respect to home country regulation regimes. We call on regulators in cooperation with the FSB and the OTC Derivatives Regulators Group to report on their timeline to settle the remaining issues related to overlapping cross-border regulatory regimes, and regulatory arbitrage. 72. We note the outcomes of the G20 high-level seminar on benchmarks and credit rating agencies. We call on national authorities and standard setting bodies to accelerate progress in reducing reliance on credit rating agencies, in accordance with the FSB roadmap. We encourage further steps to enhance transparency and competition among credit rating agencies and look forward to IOSCO's review of its Code of Conduct for credit rating agencies. We support the establishment of the FSB's Official Sector Steering Group to coordinate work on the necessary reforms of financial benchmarks. We endorse IOSCO's Principles for Financial Benchmarks and look forward to reform as necessary of the benchmarks used internationally in the banking industry and financial markets, consistent with the IOSCO Principles. 73. We welcome the FSB's progress report on the implementation of the principles and standards for sound compensation practices. We reaffirm our commitment to ensure that these principles and standards are implemented in a consistent manner and ask the FSB to continue its ongoing monitoring. 74. We underline the importance of continuing work on accounting standards convergence in order to enhance resilience of financial system. We urge the International Accounting Standards Board and the US Financial Accounting Standards Board to complete by the end of 2013 their work on key outstanding projects for achieving a single set of high-quality accounting standards. We encourage further efforts by the public and private sector to enhance financial institutions' disclosures of the risks they face, including the ongoing work of the Enhanced Disclosure Task Force. 75. We reiterate our call for further progress and encourage adherence to international cooperation and information exchange standards for financial supervision and regulation. 76. We welcome the progress achieved in developing policy recommendations for the oversight and regulation of the shadow banking system, as an important step in mitigating the potential systemic risks associated with this market while recognizing that nonbank financial intermediation can provide an alternative to banks in extending credit to support the economy. We will work towards timely implementation of the recommendations while taking into account country specific circumstances. We welcome the respective FSB reports and agreed on a straightforward roadmap (Annex) for work on relevant shadow banking entities and activities with clear deadlines and actions to progress rapidly towards strengthened and comprehensive oversight and regulation appropriate to the systemic risks posed. 77. We reiterate our commitment to FATF's work in fighting money laundering and terrorism financing and its key contribution into tackling other crimes such as tax crimes, corruption, terrorism, and drug trafficking. In particular, we support the identification and monitoring of high-risk jurisdictions with strategic anti-money laundering (AML)/countering the financing of terrorism (CFT) deficiencies while recognizing the countries' positive progress in fulfilling the FATF's standards. We encourage all countries to tackle the risks raised by opacity of legal persons and legal arrangements, and we commit to take measures to ensure that we meet the FATF standards regarding the identification of the beneficial owners of companies and other legal arrangements such as trusts that are also relevant for tax purposes We will ensure that this information is available in a timely fashion to law enforcement, tax collection agencies and other relevant authorities in accordance with the confidentiality legal requirements, for example through central registries or other appropriate mechanisms. We ask our Finance Ministers to update us by our next meeting on the steps taken to meet FATF standards regarding the beneficial ownership of companies and other legal arrangements such as trusts by G20 countries leading by example. 78. We welcome the progress made by the Global Partnership for Financial Inclusion (GPFI) on advancing financial inclusion and integrating consumer empowerment and protection, particularly through the establishment of the GPFI subgroup focused on Financial Consumer Protection and Financial Literacy. We endorse the extension of the G20 Basic Set into a more holistic set of the G20 Financial Inclusion Indicators, thereby enabling more informed financial inclusion target setting and monitoring. We acknowledge the support from the implementing partners, including the Alliance for Financial Inclusion (AFI), Consultative Group to Assist the Poor (CGAP), IFC, OECD and the World Bank. We endorse the recommendations laid out in the GPFI's report, annexed to this Declaration, and commit to further pursue these efforts under the Australian Presidency. We welcome the discussions of the AFI members to establish the organization as an independent international institution. 79. Recognizing the key role of small- and medium-size enterprises (SMEs) for promoting growth, job creation and poverty reduction, we welcome the progress made at the country level to address the specific challenges in access to finance faced by SMEs through the implementation of the SME Finance Challenge and the SME finance Initiative as well as the support for peer learning through the SME Finance Compact in cooperation with the Working Group on SME Finance of the AFI. As the SME finance gap remains large worldwide, we call upon the IFI/DFIs to further improve financial market infrastructure and to support the development of innovative tools to address the SMEs finance challenges and constraints. 80. We welcome practical tools to measure financial literacy and evaluate financial education programs, developed by the OECD/International Network for Financial Education (INFE) and the World Bank Group, support their widespread use in countries along with instruments to measure youth financial literacy such as the Programme for International Student Assessment (PISA). We also look forward to the development of international core competencies frameworks for adults and youth on financial literacy by the OECD/INFE by our next Summit. We welcome progress reports on barriers for women and youth in financial inclusion and education prepared by the OECD/INFE and the World Bank Group and endorse the OECD/INFE policy guidance on addressing women and girls' needs for financial education. We endorse the recommendations of the progress report on women and finance, including that the GPFI, the OECD and the World Bank Group conduct a stocktaking of promising and successful initiatives to enhance women's financial inclusion. We welcome the G20 Russia's Presidency and the OECD publication on national strategies for financial education and look forward to the development by the OECD/INFE of a Policy Handbook on the Implementation of National Strategies for Financial Education by our next Summit. We support the work done by the G20/OECD Task Force on Financial Consumer Protection on the first set of effective approaches to support the implementation of the G20 High-Level Principles on Financial Consumer Protection and look forward to their report on other principles in 2014. We take note of the formalization process of the FinCoNet and look forward to its conclusion. • Food Security: Support to the Secure Nutrition Knowledge Platform, exchange of best practices through the seminar on "Food Security through Social Safety Nets and Risk Management", and convening the second G20 Meeting of Agricultural Chief Scientists, along with its ongoing work to identify global research priorities and targets and support results-based agricultural research in 2014. • Infrastructure: Completion of the Assessment of Project Preparation Facilities (PPFs) for Infrastructure in Africa; a toolkit on Urban Mass Transportation Infrastructure Projects in Medium and Large Cities by the World Bank and the ADB; and a public-private partnerships (PPP) sourcebook by the World Bank, IDB and ADB, and progress in implementing the recommendations of the High Level Panel on Infrastructure. • Financial Inclusion: Enhanced coherence with the G20 finance track through the Global Partnership for Financial Inclusion (GPFI) to pursue efforts to strengthen financial inclusion including work to further reducing the global average cost of transferring remittances to 5% including through innovative result-based mechanisms, to enhance financial literacy and consumer protection for the poor and to foster access to finance for investment, for SMEs for growth, job creation and poverty reduction; and together with the IFC launching the Women Finance Hub. • Human Resource Development: Launch of a global public-private knowledge sharing platform on skills for employment and the development of national actions plans on skills for employment in LICs and of a database on skills indicators. • Inclusive Green Growth: Further development, dissemination and implementation of the non-prescriptive, voluntary toolkit of policy options for inclusive green growth in the context of sustainable development, including a workshop with developing countries, and initiation of the G20 Dialogue Platform on Inclusive Green Investments for sustainable development and poverty eradication. • Domestic Resource Mobilization: Continued work on strengthening tax administrations in developing countries, particularly LIC's, through both bilateral and multilateral programs, such as the work of the OECD and G20 members on BEPS, automatic exchange of information, the Global Forum on Transparency and Exchange of Information for Tax Purposes and "Tax Inspectors without Borders" and the expansion of the work of the World Bank Group and the IMF to support developing countries' ability to raise domestic resources. 82. We acknowledge that food security and nutrition will remain a top priority in our agenda. We recognize the importance of boosting agricultural productivity, investment and trade to strengthen the global food system to promote economic growth and job creation. We encourage all ongoing efforts in the agricultural sector to further reduce hunger, under-nutrition and malnutrition, through increased coordination in the G20 to promote the identification and implementation of effective actions in support of production and productivity growth as well as enhancement of food security and nutrition for vulnerable population through, among others, nutrition sensitive policies and comprehensive social protection systems, with particular emphasis on low income countries. We support discussions in the WTO to respond to legitimate food security concerns, without distorting trade, including those related to carefully targeted policies to protect vulnerable populations. We recognize that the agricultural market situation needs closer attention and that the Agricultural Market Information System (AMIS) is generating better transparency and still needs more efforts to be fully implemented. We reaffirm our determination to implement all previous G20 commitments and existing initiatives including that stated in the Action Plan on Food Price Volatility and Agriculture which the G20 endorsed in 2011. 83. We welcome the Saint Petersburg Accountability Report on G20 Development Commitments, which sets out the progress achieved since we adopted the 2010 Seoul Multi-Year Action Plan on Development (MYAP) (Annex). This report demonstrates that many of our development commitments have now been implemented and identifies lessons learned and it highlights the successes achieved. The Accountability Report underlines the importance of continued monitoring and identifies areas where we must continue to work and opportunities to strengthen and streamline the G20 development agenda. • ensuring flexible approaches to respond to new priorities and circumstances. 85. We welcome the substantial progress towards achieving the Millennium Development Goals (MDGs) since 2000 and the success in galvanizing global action to reach specific targets globally, as well as in individual countries, particularly in eradicating extreme poverty and promoting development. However, the prospects for achieving all of the MDGs differ sharply across and within countries and regions. We remain committed to accelerating progress towards achieving the MDGs, particularly through the implementation of our development agenda and our focus on promoting strong, sustainable, inclusive and resilient growth. 86. We support the ongoing efforts in the UN for the elaboration of the post-2015 development agenda. We commit to participate actively in this process and engage in the discussion on the direction of the new framework and its key principles and ideas and effectively contribute to the timely conclusion of the process. The final outcome will be determined through an intergovernmental process in which we will all participate, but much preparatory work is still underway. We welcome the contribution of the report prepared by the High-Level Panel of Eminent Persons on the Post-2015 Development Agenda, which sets out some illustrative goals We also welcome the ongoing work of the UN General Assembly Open Working Group on Sustainable Development Goals and Intergovernmental Committee of Experts on Sustainable Development Financing. We stress the crucial importance of collective action, including international development cooperation, based on the principles outlined in the Millennium Declaration, the 2012 Rio+20 outcome document "The Future We Want", the Istanbul Declaration and Programme of Action of the Fourth UN Conference on Least Developed Countries and the outcomes of other relevant UN Conferences and Summits in the economic, social and environmental fields. 87. We call for an agreement on an integrated post-2015 development agenda with concise, implementable and measurable goals taking into account different national realities and levels of development and respecting national policies and priorities, focused both on the eradication of extreme poverty, promoting development and on balancing the environmental, economic and social dimensions of sustainable development. We commit to ensure that G20 activities beyond 2015 are coherent with the new development framework. 88. To improve rapid and effective responses to the outbreak of new diseases that threaten human life and disrupt economic activity, we call on countries to strengthen compliance with the World Health Organization's International Health Regulations. 89. We acknowledge the progress already made by G20 members on duty-free and quota-free (DFQF) market access for the LDCs products. 90. Access to energy is a key factor to achieve better quality of life and to improve global economic performance. Access to reliable and affordable energy is particularly critical to the development agenda, poverty eradication and social inclusion. Transparent, well-functioning, reliable energy markets and sufficient investment are needed to boost economic growth, job creation and sustainable development. 91. To promote market transparency and efficiency, we commit to strengthen Joint Organizations Data Initiative (JODI) - Oil by ensuring greater visibility, more complete and comprehensive data, enhanced access and improved availability, and by maintaining support for capacity building. We look forward to the launch of JODI-Gas at earliest date possible. We note the second report prepared by the International Energy Agency (IEA), the International Energy Forum (IEF) and the Organization of the Petroleum Exporting Countries (OPEC) in May 2013 on practical steps to increase transparency in international gas and coal markets. We ask the IEF to come back with a report on progress in these areas before the next G20 Ministers of Finance and Central Bank Governors meeting in October. 92. We welcome the Report on energy-related issues including on G20 work to facilitate better functioning of physical and financial commodity markets. We welcome Finance ministers' commitment to take actions on PRAs as set out in their Communique of July 20, 2013 with a view to improve their functioning through transparency and regulation as appropriate, and would welcome a further update in 2014. We also call on Finance ministers to monitor on a regular basis the proper implementation of IOSCO's principles for the regulation and supervision on commodity derivatives markets and encourage broader publishing and unrestricted access to aggregated open interest data. 93. We welcome efforts aimed at promoting sustainable development, energy efficiency, inclusive green growth and clean energy technologies and energy security for the long term prosperity and well being of current and future generations in our countries. We will continue in cooperation with international organisations sharing national experiences and case studies regarding sustainable development, clean energy, and energy efficiency as well as development, deployment and broader application of related technologies and will take forward work, on a voluntary basis, on corresponding policy options and technologies. We take note of the new World Bank report 'Toward a Sustainable Energy Future for All', which aims to promote access to reliable and affordable energy in developing countries and recognise the importance of the sustainable and responsible production and use of modern bioenergy and the role played by the Global Bioenergy Partnership (GBEP) in this regard. 94. We reaffirm our commitment to rationalise and phase out inefficient fossil fuel subsidies that encourage wasteful consumption over the medium term while being conscious of necessity to provide targeted support for the poorest. We welcome the efforts underway in some G20 countries as described in the country progress reports. We welcome the development of a methodology for a voluntary peer review process and the initiation of country-owned peer reviews and we encourage broad voluntary participation in reviews as a valuable means of enhanced transparency and accountability. We ask Finance Ministers to report back by the next Summit on outcomes from the first rounds of voluntary peer reviews. Recognising the importance of providing those in need with essential energy services, we ask Finance Ministers to consider, in conjunction with the relevant international institutions, policy options for designing transitional policies including strengthening social safety nets to ensure access for the most vulnerable. 95. Sizable investment, including from private sources, will be needed in the G20 and other economies in energy infrastructure in the years ahead to support global growth and development. It is our common interest to assess existing obstacles and identify opportunities to facilitate more investment into more smart and low-carbon energy infrastructure, particularly in clean and sustainable electricity infrastructure where feasible. In this regard we encourage a closer engagement of private sector and multilateral development banks with the G20 Energy Sustainability Working Group (ESWG) and call for a dialogue to be launched on its basis in 2014 that will bring interested public sector, market players and international organizations together to discuss the factors hindering energy investment, including in clean and energy efficient technologies and to scope possible measures needed to promote sustainable, affordable, efficient and secure energy supply. 96. Regulation among other policy levers can play an important role in creating a proper context for investment. Noting that regulatory roles differ from country to country and that regulation remains a country-led process, but in some cases is shared within regional integration space, we welcome the dialogue between interested G20 national power sector regulators supported by regulatory associations and international organisations, and take note of the statement they have provided on sound regulation and promoting investment in energy infrastructure agreed at the G20 Outreach Energy Regulators Round Table in Kazan. In the context of our efforts to promote investment in energy infrastructure, notably in clean, affordable and sustainable energy, and in order to engage all interested parties, we encourage interested regulators to continue their dialogue and ask the ESWG to take note of this dialogue. 97. Many countries are trying to improve their energy mix and use, such as by promoting renewable and/or nuclear energy. Nuclear power is a low-carbon option, but it is capital intensive and comes with responsibilities for nuclear safety, security and safeguards/nonproliferation. G20 countries, whether nascent or established nuclear power producers should strive for the highest possible level of nuclear safety, to foster robust nuclear safety and nuclear security cultures and, as called for in the International Atomic Energy Agency (IAEA) Action Plan on Nuclear Safety, we encourage multilateral cooperation towards achieving a global nuclear liability regime. 98. We appreciate the progress achieved since the establishment of the G20 Global Marine Environment Protection (GMEP) Initiative and welcome the launch of the GMEP Initiative website as a key element of the GMEP Mechanism for the voluntary exchange of national best practices to protect the marine environment, in particular to prevent accidents related to offshore oil and gas exploration and development, as well as marine transportation, and to deal with their consequences. We encourage participants to make full use of the website and share relevant information under the auspices of the G20 in cooperation with relevant international organizations in accordance with the GMEP mandates. 99. We recognize the value of multilateral cooperation and coordination in advancing the global energy security agenda through resilient energy markets and welcome the IEA's current efforts to deepen its engagement with non-members and will monitor progress in this regard. 100. Climate change will continue to have a significant impact on the world economy, and cost will be higher to the extent we delay additional actions. We reiterate our commitment to fight climate change and welcome the outcome of the 18th conference of the Parties to the UN climate change conferences. We are committed to a full implementation of the outcomes of Cancun, Durban and Doha and will work with Poland as the incoming presidency towards achieving a successful outcome at COP 19. 101. We are committed to support the full implementation of the agreed outcomes under the United Nations Framework Convention on Climate Change (UNFCCC) and its ongoing negotiations. We strongly welcome the efforts of the Secretary-General of the United Nations to mobilize political will through 2014 towards the successful adoption of a protocol, another legal instrument, or an agreed outcome with legal force under the convention applicable to all Parties by 2015, during COP-21 that France stands ready to host. We also support complementary initiatives, through multilateral approaches that include using the expertise and the institutions of the Montreal Protocol to phase down the production and consumption of hydrofluorocarbons (HFCs), based on the examination of economically viable and technically feasible alternatives. We will continue to include HFCs within the scope of UNFCCC and its Kyoto Protocol for accounting and reporting of emissions. 102. Taking note of the developments over the past year, we support the operationalization of the Green Climate Fund (GCF). We welcome the report of the G20 Climate Finance Study Group on G20 countries' experiences on ways to effectively mobilize climate finance taking into account the objectives, provisions, and principles of the UNFCCC. For the purpose of elaborating on the issues and identifying approaches to climate finance, we ask our Finance Ministers to continue the work building on the working group report and report back to us in one year. 103. Corruption is a severe impediment to sustainable economic growth and poverty reduction and can threaten financial stability and the economy as a whole. Corruption is corrosive, destroying public trust, distorting the allocation of resources and undermining the rule of law. To provide a better understanding of the factors constraining the economic potential of countries affected by corruption, we make available the Issues Paper on Anti-Corruption and Economic Growth and encourage the OECD, in collaboration with the World Bank to continue work in this area. 104. As a group of the world's largest economies, the G20 has the potential to create unstoppable momentum towards a global culture of intolerance towards corruption. We will redouble our efforts to achieve this goal, in particular by enhancing transparency and closing implementation and enforcement gaps. 105. We warmly welcome the ratification by Saudi Arabia of the United Nations Convention against Corruption (UNCAC). We will continue to encourage all G20 member-countries to ratify and implement the UNCAC, and encourage engagement with the OECD Working Group on Bribery with a view to explore possible adherence to the OECD Anti-bribery Convention as appropriate. We commit to lead by example by enhancing the transparency and inclusivity of our UNCAC reviews by making use on a voluntary basis of the options in the Terms of Reference to the UNCAC Review Mechanism. 106. We reiterate our determination to combat domestic and foreign bribery, as well as solicitation, and endorse the non-binding Guiding Principles on Enforcement of the Foreign Bribery Offence and the Guiding Principles to Combat Solicitation. 107. We will continue to develop and strengthen frameworks to facilitate cooperation among G20 member-countries in the fight against corruption. 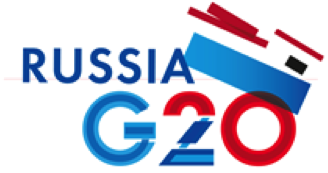 We have established a G20 network to share information and cooperate in order to deny entry to our countries by corrupt officials and those who corrupt them, in accordance with national laws and regulations. To enhance international collaboration in the investigation and prosecution of corruption offences, as well as in the recovery of proceeds of corruption, we endorse the High-Level Principles on Mutual Legal Assistance. 108. We renew our commitment to ensure the independence of the judiciary, as well as to share best practices and enforce legislation to protect whistleblowers, ensure the effectiveness of anti-corruption authorities free from any undue influence, and promote the integrity of public officials. 109. We also place a high value on implementing and raising awareness regarding effective anti-corruption education programs to build and reinforce a culture of intolerance towards corruption. 110. We express support for the FATF's ongoing work in the anti-corruption field. Leveraging anti-money laundering (AML)/countering the financing of terrorism (CFT) measures to fight corruption will remain a significant area of growing cooperation between anti-corruption experts of the G20 and FATF as well as increasing cooperation against tax crimes, addressing the risks posed by tax havens. 111. We will pay special attention to combating corruption in high-risk sectors. We commend the efforts to fight corruption in organization of sporting, cultural and other major international events and welcome the initiative to develop a Global Alliance for Integrity in Sports. We also commit to promote integrity in buy-and-sell relations between the public and private sectors, including public procurement and privatization of state-owned property. We welcome initiatives aimed at increasing extractive transparency, including voluntary participation in the Extractives Industries Transparency Initiative (EITI) and take note of the progress. We ask the G20 Anti-Corruption Working Group to further follow this issue. 112. We recognize that a culture of intolerance towards corruption will only be achieved if we work in partnership with business and civil society. We commit to maintain and build on the enhanced dialogue between the G20 Anti-Corruption Working Group and the B20 and C20, and have taken note of the recommendations of these two groups. In particular, we welcome the business community's initiatives to enhance anti-corruption collective actions and to develop institutional arrangements to promote anti-corruption compliance in the private sector. 113. We welcome the progress which the G20 Anti-Corruption Working Group is making to implement its 2013-14 Action Plan and commend its Progress Report which is annexed to this statement. Recognizing that the fight against corruption will require sustained, concerted effort, we endorse the St. Petersburg Strategic Framework to guide the work of the ACWG and provide a foundation for the Action Plans. In 2014, we will advance our existing commitments and consider further G20 actions on the global fight against corruption. 114. We thank Russia for its G20 Presidency and for hosting the successful Saint Petersburg Summit, and we look forward to our next meeting in Brisbane in November 2014 under the Australian Presidency.